CTSwholesaleSunglasses.com today launched its new range of polarized sunglasses in designer styles with USA made lenses. CTS Wholesale today added polarized sunglasses (http://301url.com/polarized-sunglasses) to its wide range of designer sunglasses offered at a big discount to the retail market. The owner of the leading online sunglass store, Kirk Bachelder, reported: "Polarized sunglasses are a vital part of your baggage when you are travelling to the beach or the snowy mountains, because these can cut the blinding glare very effectively". The quality of the lens is very vital in the polarized sunglasses as low quality lenses can warp in the sunlight and they may not block the glare well. "We recognized this early on and that is why we use USA made lenses for maximum effectiveness," reported Kirk. The replica sunglasses industry has brought high fashion sunglasses within the reach of the average consumer by offering designs comparable to the leading brands without the fancy price one has to shell out for those. These "inspired by but not original" sunglasses retail for about 5% - 10% of the brand prices and allow one to buy several designs with a small investment. CTS Wholesale (http://www.CTSwholesalesunglasses.com) has been introducing new items to its collection at regular intervals thereby becoming very popular with its retailers who can offer these new designs to their customers for repeat business. The retailers enjoy a convenient browsing and shopping experience at their convenient times. They can see the latest range of products as soon as these are released and all online orders are shipped the same day, thereby allowing them to offer the new designs to their customers quicker than the rest. CTS Wholesale Inc. is a wholesale sunglasses company dealing in designer replica range. You can visit their online store at http://www.CTSwholesalesunglasses.com. Attractive discounts are available with quantity purchases. Polarized Sunglasses - Armani StylePolarized sunglasses that compare to Armani designs. 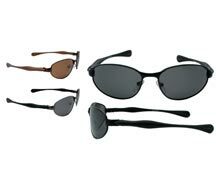 Polarized Sunglasses- Maui Jim StylesPolarized sunglasses that compare to Maui Jim designs. Polarized sunglasses from wholesale dealerPolarized sunglasses in designer styles at wholesale prices.